Have you ever seen a teacher without a teacher bag? I haven’t. In my case, I have a giant teacher bag with a reinforced bottom. It can hold a grade book, file folders, sets of papers, and a binder or two. My big ‘ol teacher bag does not have room for my purse, and I do not want to lug around an extra piece of luggage to school every day. Instead, I keep my debit card, driver’s license, and maybe a few dollars in a small wallet that can be moved easily from my teacher bag to my regular purse as needed. Most teachers I know have a similar “mini wallet” system. I needed a small birthday gift for a co-teacher at my school, so I decided to fill a mini wallet with a gift card. 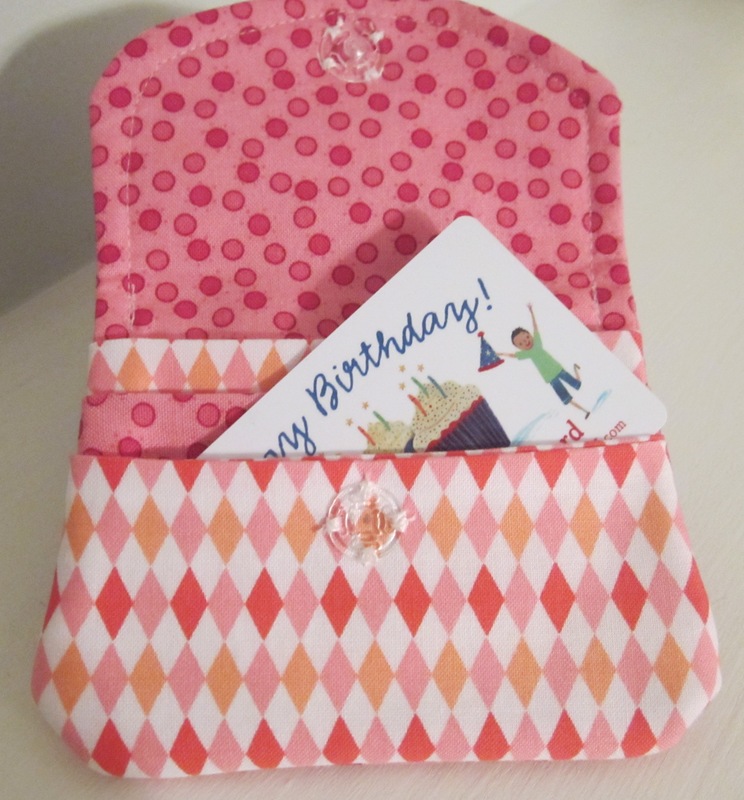 My birthday buddy can use this little sirsee as her “teacher bag wallet” after spending the gift card. If you are planning on giving a gift card to a teacher this year, step it up a little and enclose the gift card in a cute little wallet-y coin purse type bag. It will be the gift that keeps on giving! Plus, it meets the generic but personal criteria for teacher gifts. 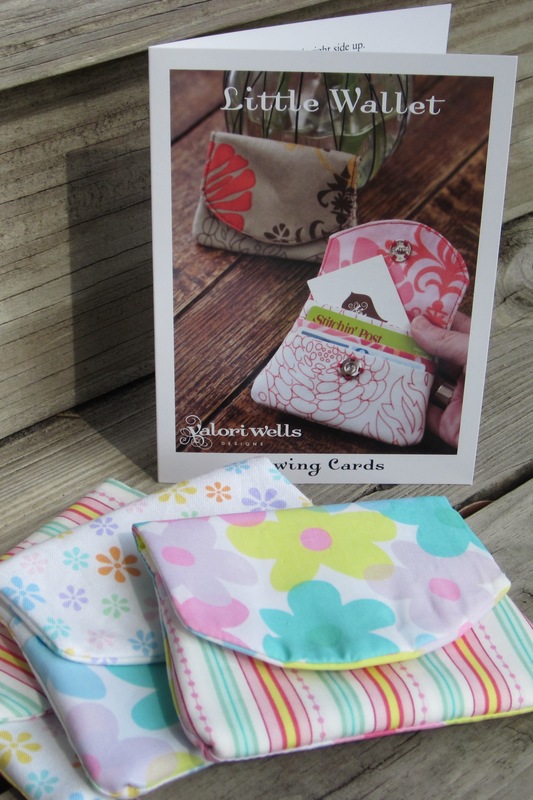 The Wallet: I found these sewing cards by Valori Wells that have easy patterns. I used the Little Wallet pattern card. 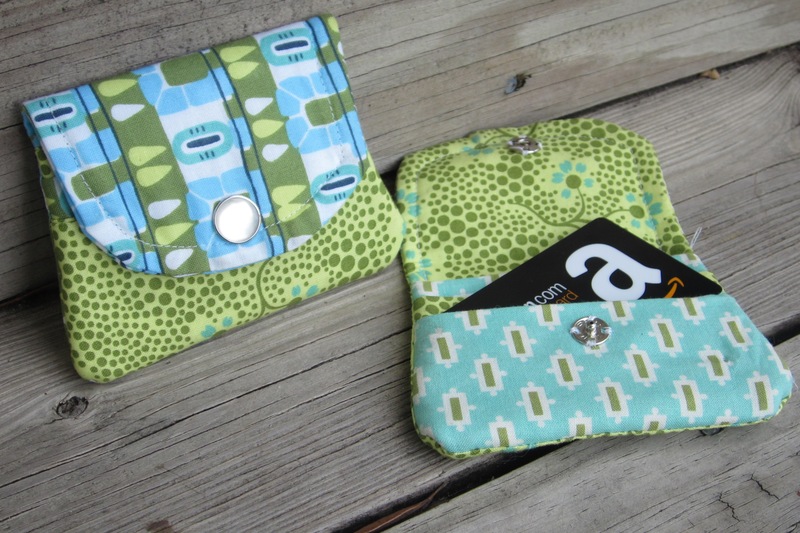 If you have two fat squares of coordinating fabric, you can make two to three wallets. I sewed a snap to the inside, but a button or other embellishment can be added to the outside of the flap for looks. The finished wallet has three pockets. Gift Card Ideas: Some gift cards work better in $5 or $10 increments. Here are my suggestions. What am I missing?